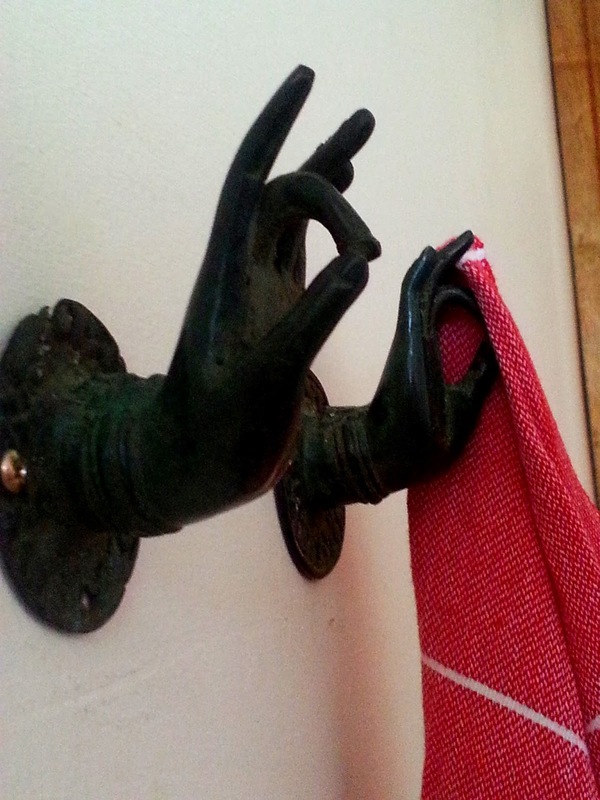 OOPI: A little TLC for the bathroom. 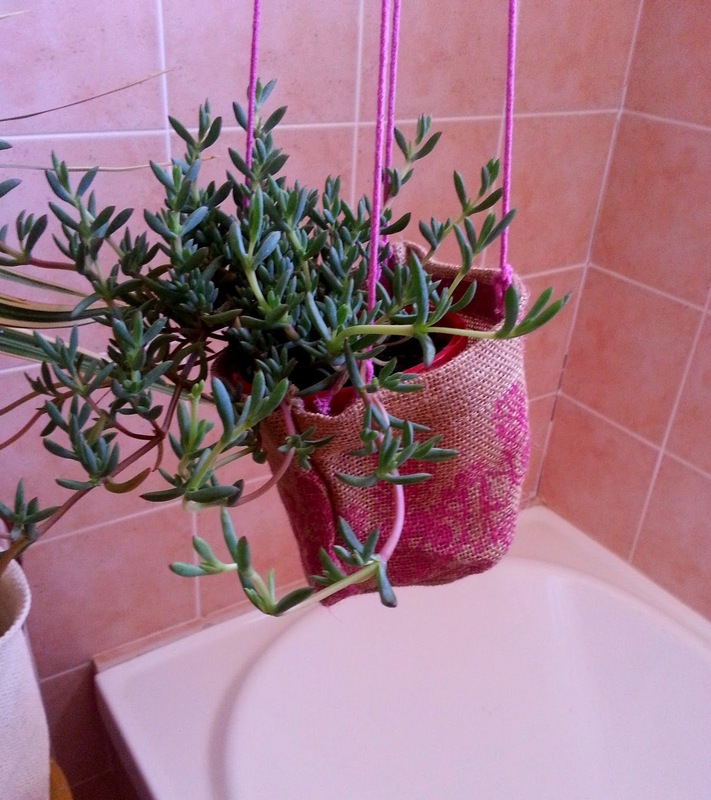 With a budget of nort, but inspired by my friend Geraldine's desire to update her own bathroom and a wild pinning session on Pinterest, I went and gather a few of my favourite Bali items and decided to dedicate them to the bathroom. 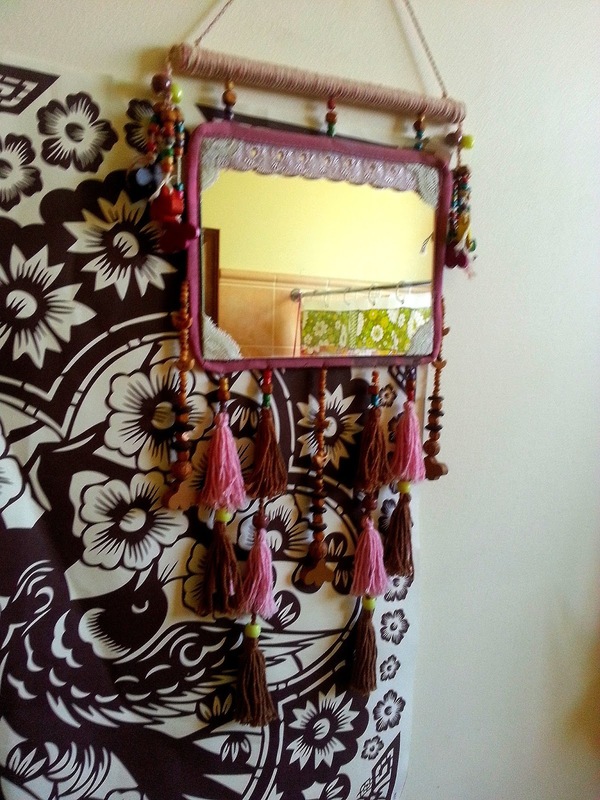 Like my little fun mirror with beads and tassels. 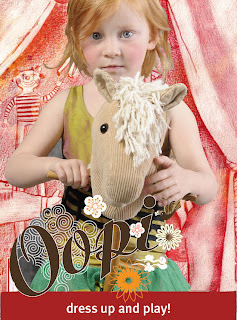 Very gypsy. Love it. 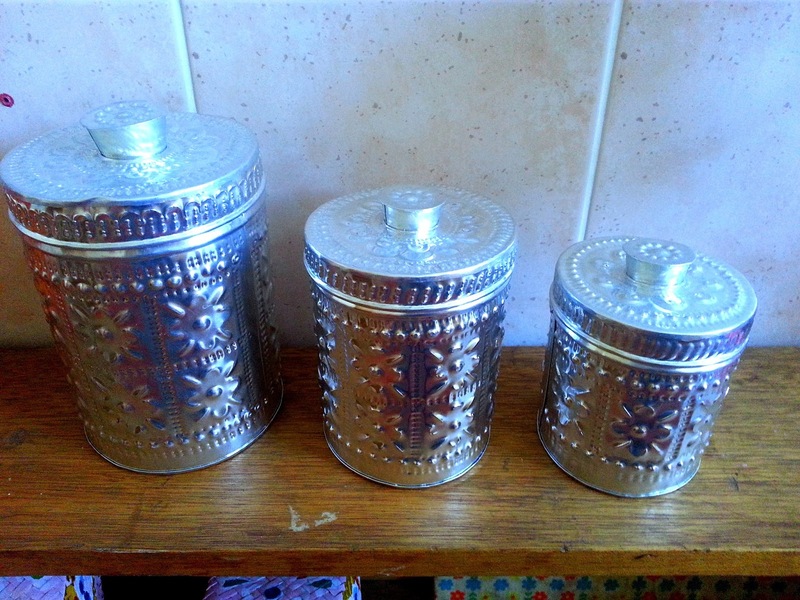 And my set of aluminum tins. I have a hard time finding shower curtains attractive. 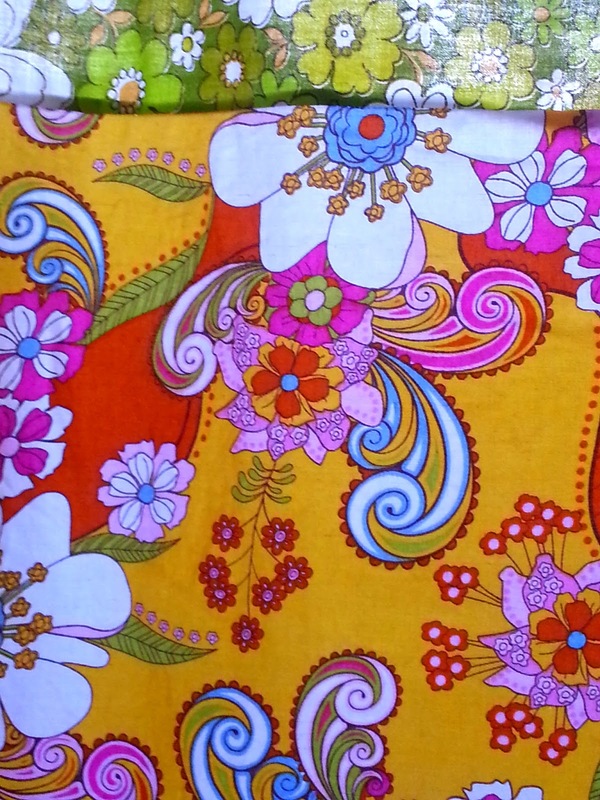 So i bought a simple clear plastic one ($6 from Bunnings, rings included) and retrieved from my stash of fabrics a sunny happy cotton and a green flower power vintage bed sheet. I sew the two together. And voila! 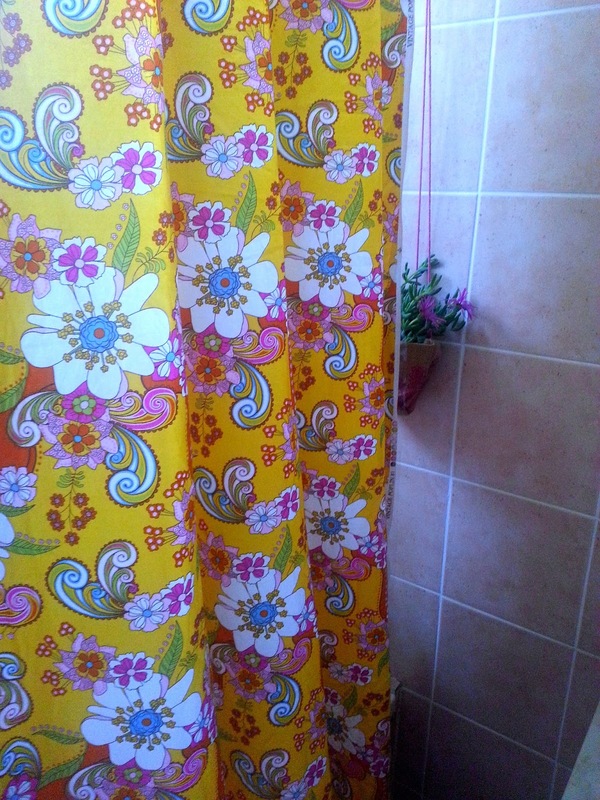 A nice, vibrant shower curtain. I love recycled plastic rugs. This one, picked up at Ikea for $12 was just the right size and colour. 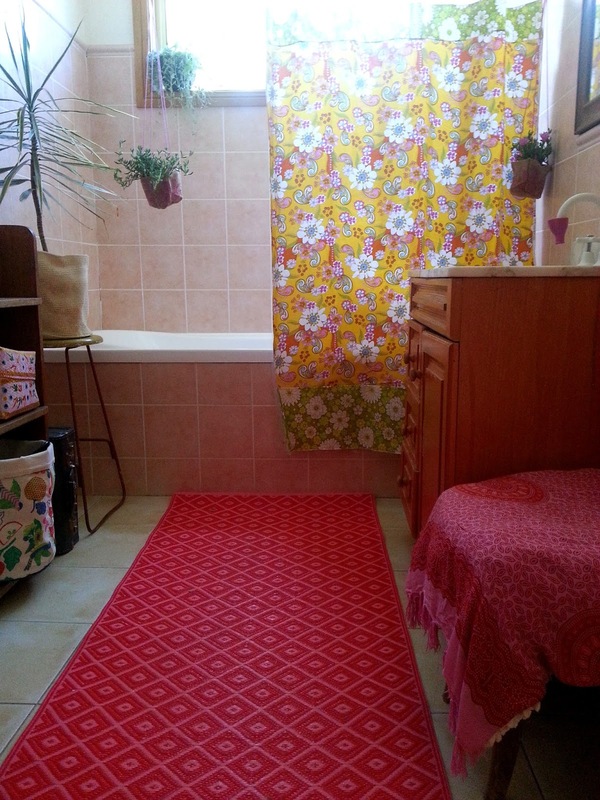 Plastic rugs are awesome in the bathroom. I added these two little guys. 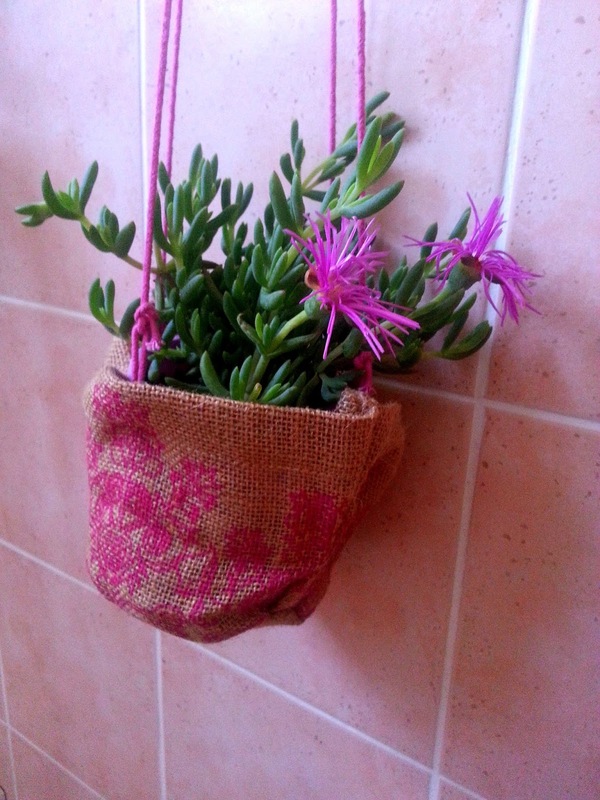 The jute hanging pot holders are from Apple Bee. 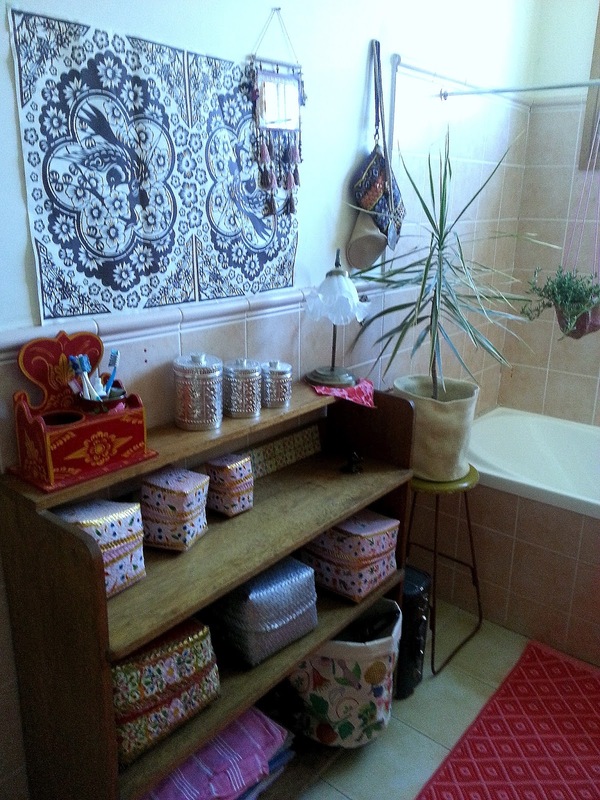 I retrieved unwanted wooden shelves from the attic and added a few more of my Balinese treasures. 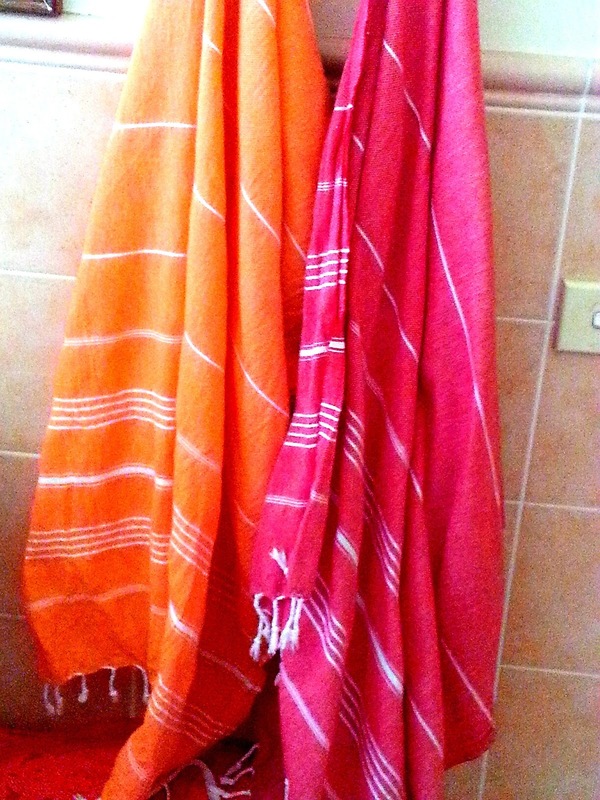 And I have finally made the switch and now only use Pesthemal towels or Turkish towels. Absolutely brilliant and beautiful! Fast drying, ultra soft and absorbent. And if they are good in the bathroom, they are perfect at the beach too; they remain sand free even when wet! 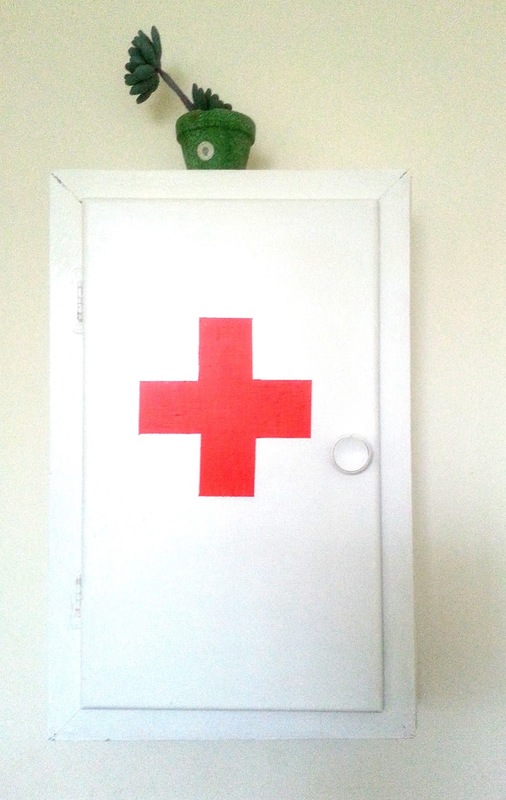 I did a quick paint job on an old cabinet found on the side of the road and now we have a first aid cabinet too! It may not be the bathroom of my dreams but you know what, I quite like my bathroom now. 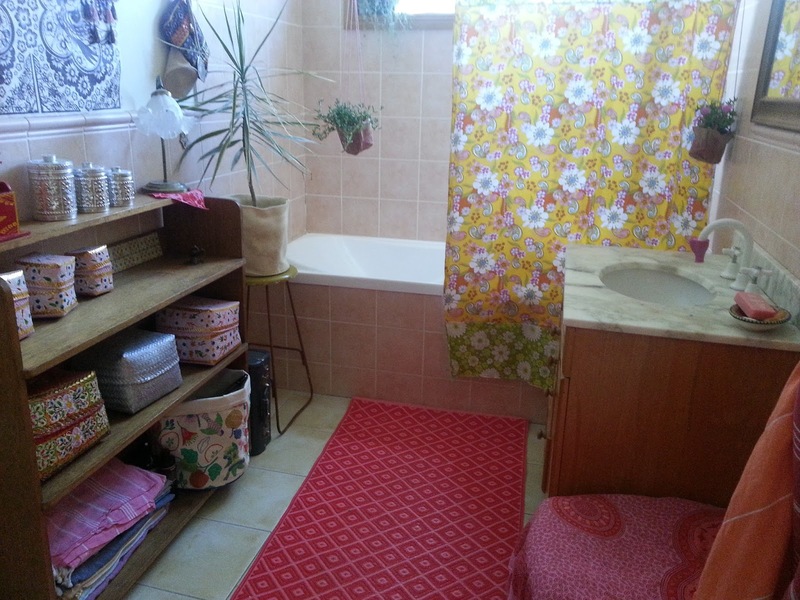 Yes, it still has pink tiles and a cheap vanity with a marble top but I don't see them as much now. 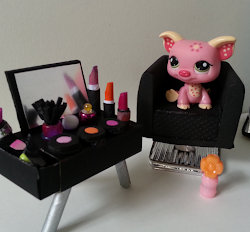 It goes to show that even without a big budget you can turn ordinary into ... nice ordinary!